We service ALL BRANDS of garage doors and openers. We replace broken springs. We replace your rollers with the highest quality rollers in the industry to provide a very QUIET and SMOOTH operating door. We repair crooked doors and doors where the cable has come off. 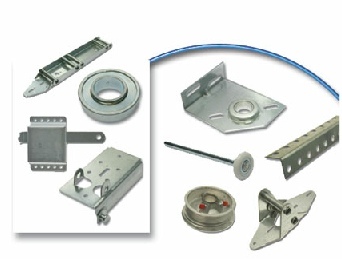 We tighten and or straighten hinges or replace them, if necessary. We replace worn drums that can cause your cables to fray. We check ALL bearings on your door and lubricate them. We replace them if necessary.